With a strong balance of marketing experience, design talent and data analysis, our goal is simple. We make your company look great and get found. Whether that means on the web, or through more traditional print marketing, we grow businesses. 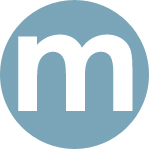 Modmacro is a full-service web design and marketing firm dedicated to helping small businesses succeed. There is no "one-size-fits-all" approach to marketing, so our team works hard to understand your business and industry dynamics. Then we develop a tailor-made strategy that shares your story in the right places, helps you stand out from the crowd and builds your brand. MySanClemente is part of Burg Network, a Southern California Business Advertising Network.